Raja, a good-natured and active boy, is expected by his parents to pick up an activity for his development. Little do they know Raja chooses to practice Chinese opera. Can he go against all odds: language, culture, and his disapproving mother to master the craft? 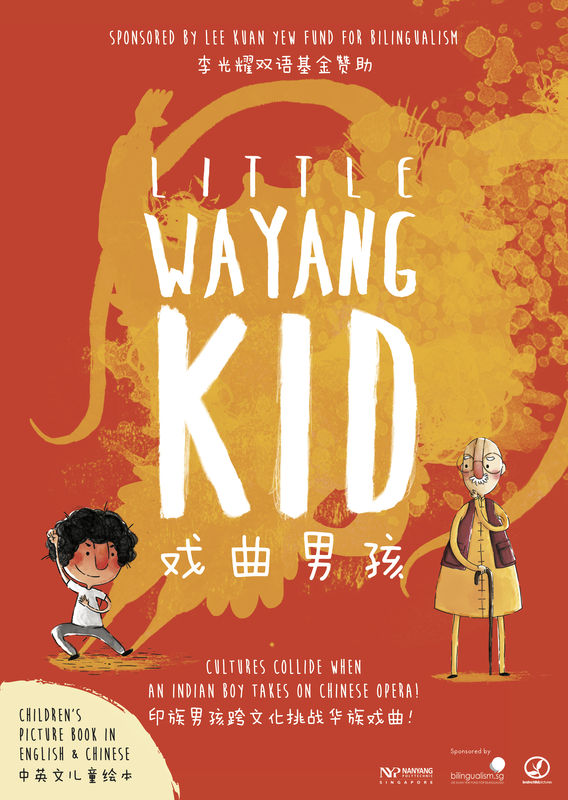 Join Raja as he ventures into the fascinating performance in “Little Wayang Kid”. “Little Wayang Kid” is adapted from the short film "Wa Is For Wayang". The film, spoken in both English and Chinese, premiered on Racial Harmony Day 2011. It was later chosen by the Singapore Discovery Centre (SDC) as an exclusive resident feature for a period of 30 months. It becomes the longest playing locally produced short film in Singapore. Many audiences of all races and background, who watched the film, expressed their love for the movie. They were inspired by the storyline and the way Chinese opera was portrayed. In addition, they shared their concern about the difficulty for these traditional art forms to survive in this modern era. Therefore, the children’s picture book, “Little Wayang Kid” intends to introduce the traditional art form, Chinese opera, to the younger generations, in an entertaining yet inspiring manner. The book, consists of high quality illustrations with a simple description both in English and Chinese, is designed for children aged 3 to 9. The descriptions in two languages will also facilitate the language learning process, as children who are well-versed in English can easily pick up vocabulary in Chinese, and vice versa.